Apertures should be between 600mm and 1600mm above ground level. Access should be between 900mm and 1200mm above ground level. Mailboxes should be installed with the aperture facing the footpath or road. More information is available from the Australia Post website. A 1mt high Post is suitable for fixing to a bank base. A 1.5mt high Post is suitable for side fixing to a bank. 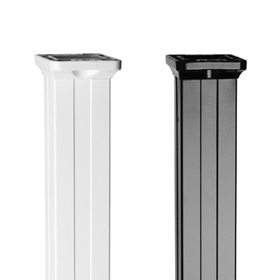 Select either 50mm or 65mm posts depending on the number of mailboxes to be supported. Allow Posts to be cemented a minimum of 300mm into the ground. 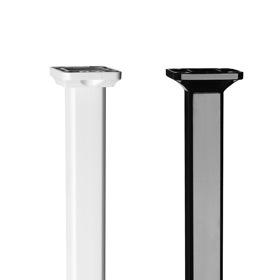 Posts are also available with welded metal Plate bases for fixing directly onto hard surfaces for example a Foyer or cement path.